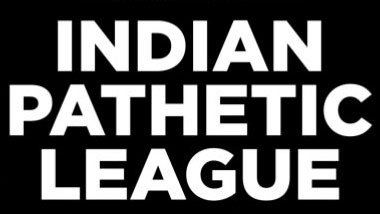 Thank God that the Spot-Fixing controversy happened at this year's Indian 'Pathetic' League, otherwise the above video would not have been possible. Creative Minds need stimulating stimuli to create masterpieces, like the one above. It is the best thing to have come out because of this year's IPL. 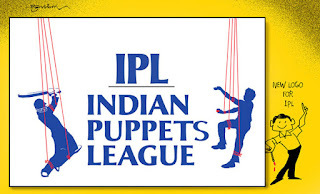 Controversies and IPL go hand in hand. Without the former, the latter would seem pale, boring and lifeless. 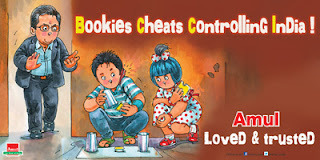 And IPL is all about batting and betting and Sixers and Fixers. Match-Fixing and Spot-Fixing have always been a part of Cricket ever since it became a Religion with more than a billion devotees and insane amounts of money started pouring in. BCCI is the only body which leaks of moolah from the top. The monetary temptation was simply too much for the Underworld to resist. Test-Matches, One-Dayers and now the IPL, all good opportunities to make quick bucks. The 'once upon a time' Gentleman's Game is now in a SPOT of bother. For quite some time now it has been controlled by the Underworld's betting syndicates. The present controversy is just the tip of the iceberg and the Big-Fishes are still swimming underneath peacefully. 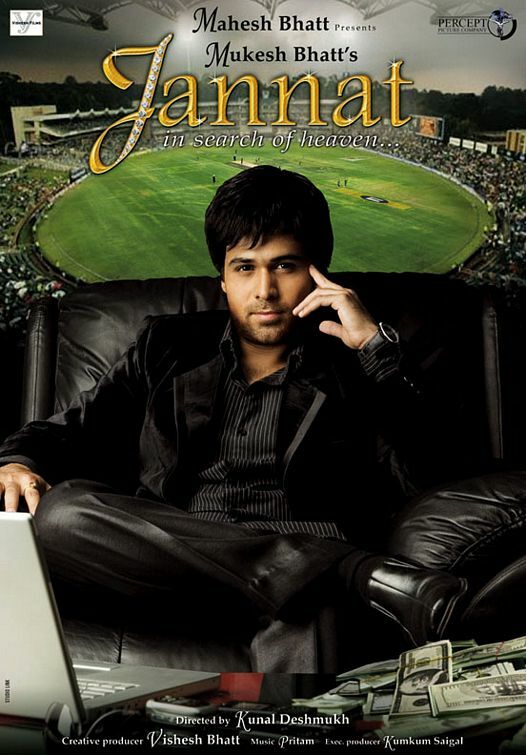 An IPL match is just like a Hindi blockbuster. Isme Action bhi hai, Drama bhi hai, Comedy, Tragedy, Romance bhi hai, Hero hai, Heroine hai, Villain hai, aur Cheerleaders bhi hai like those back-up foreign dancers in hindi item songs, who are most of the times more beautiful and voluptuous than the Heroine herself. The match is nothing but a three hour scripted performance. Enjoy it, just like a Hindi masala escapist flick, after a hard day's work. Gullible people who follow the game passionately think that Match-Fixing and Spot-Fixing happen only once in a while. Ha Ha Ha!!! Cricket fanatics love to think that all no-balls or dropped catches happen due to Destiny, and not because of the interference of D-Company. Don't forget that the Headquarters of ICC was shifted to Dubai; even a child knows what Dubai is infamous for. In Milan Luthria's upcoming film ONCE UPON A TIME IN MUMBAAI - Part 2, there will be a sequence where Akshay Kumar playing the role of Shoaib Khan, a character based on Dawood Ibrahim, will be seen attending an India-Pakistan match at Sharjah during the 80's. While the two Cricket Captains are waiting on the field for the toss, everyone in the VIP Box is waiting for the Don. He arrives in style and then gives the signal for the all important toss to begin. 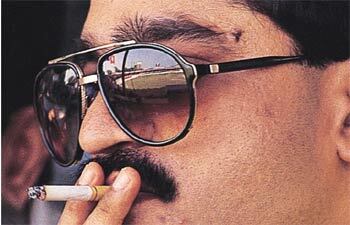 Below is a pic of the actual Dawood Ibrahim during an India-Pakistan encounter at Sharjah. I loved the 2008 film JANNAT. I watched it at South-City FAME. A good film with a good script and with good songs. It is a pity that Hansie Cronje and Bob Woolmer were not able to watch this good Cricket related film as they were already murdered by then by the Mafia. Loved the song Jannat Jahan by Rupam Islam. At FAME, the bengali version of the song was picturised. The bengali lyrics were simply rocking and much better than its hindi counterpart. Sadly, for a very long time now, many things happening inside the Cricket field have been already decided by external forces. 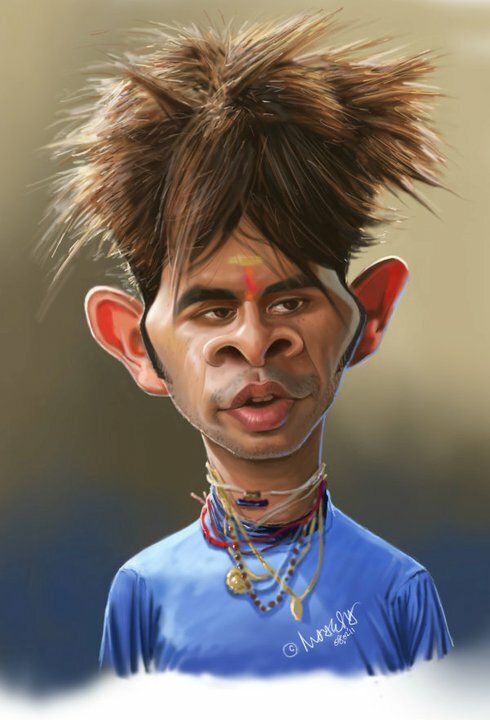 But I have always loved the exuberant S. Sreesanth ever since his 5-40 at Johannesburg, loved his animated appeals and his dance moves (both on and off the field), and have felt sorry for him after the Harbhajan-slap. 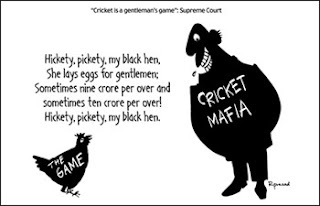 Maybe this 'Angry Bird' turned 'Rotten Egg' will join the Parliament in future and give company to that 'Son-of-a-Pitch' ex-Indian Cricket Captain who was once banned for life for Match-Fixing. 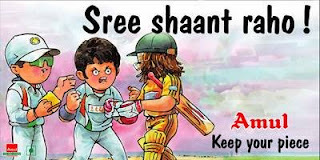 After the Tehelka 'Fallen Heroes' Cricket sting-operation in 2000, there were a series of funny ads on TV referencing, spoofing and parodying those hidden video tapes. I used to Love those ads very much. I don't remember them exactly now and have only faint memories about them. One ad featured an Azharuddin lookalike standing in front of his house and saying something like "Le Le, Le Le" as in "Take It, Take It". If anyone can throw some light on those now forgotten ads then please do so. 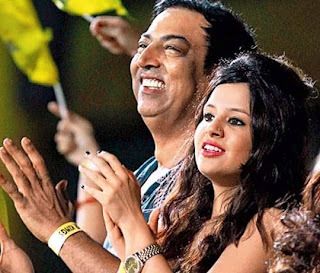 Out of the blue, the Bigg Boss-3 winner Vindu Dara Singh has been arrested in this current Spot-Fixing controversy. Thank Heavens that his great father did not live long enough to see this day! 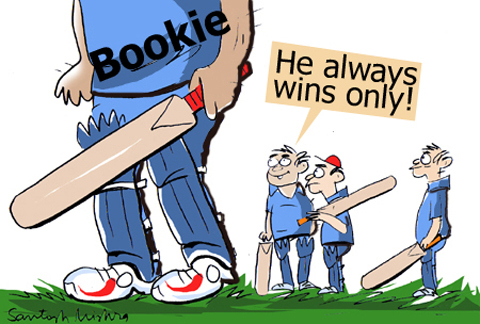 Betting and Match/Spot-Fixing are not the same. Betting on Horse-Racing is legal in India and the Government earns revenue out of it. Has the time come for legalized Sports Betting in India? That will limit the influence of the Underworld and will generate great amounts of revenue for the Nation. Legalized Sports Betting is available in many parts of the world. We, the Indian 'Lotus-Eaters', love our daily dose of Cricket and Bollywood, and then love to sleep as well as stay awake in the default mode of peaceful apathy of existential nihilism. 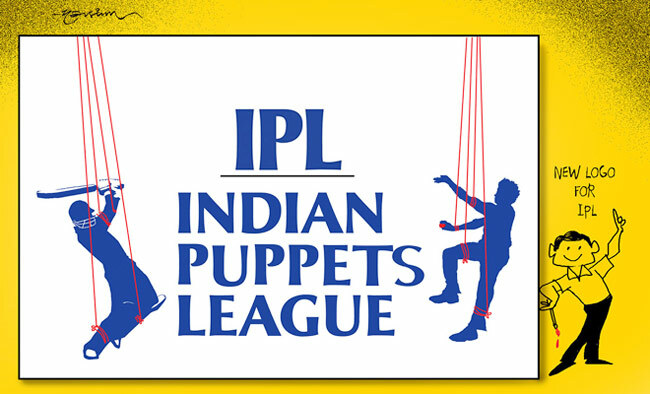 Everything passes, and this too shall pass, public memory is too short, and again we will have full houses at IPL 7 next year. PS : In the first IPL in 2008, I watched 3 games from the Club House at Eden Gardens. Saw Shah Rukh Khan from very close quarters. Also had dinner inside the Club House. Really love the atmosphere inside the Club House. 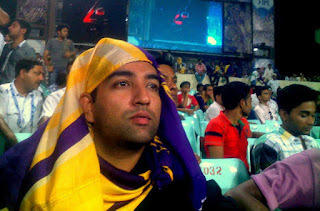 Last year I went only for the KKR Vs Pune duel. Till date I haven't watched a single IPL game uninterrupted for 40 overs on TV. Though I have several times watched Test-Matches for 5 continuous days without missing a single delivery. I have always loved only Test Cricket, Bookie or no Bookie. One-Dayers and IPL do not interest me much. However next year I will certainly go to watch an IPL match at Eden Gardens. Here is my pic from last year's KKR-Pune match where one half of the stadium was supporting KKR and the other half was cheering for Sourav Ganguly. PPS : This year I didn't have any plans to go to IPL. Out of the blue got free tickets for the Final Match. 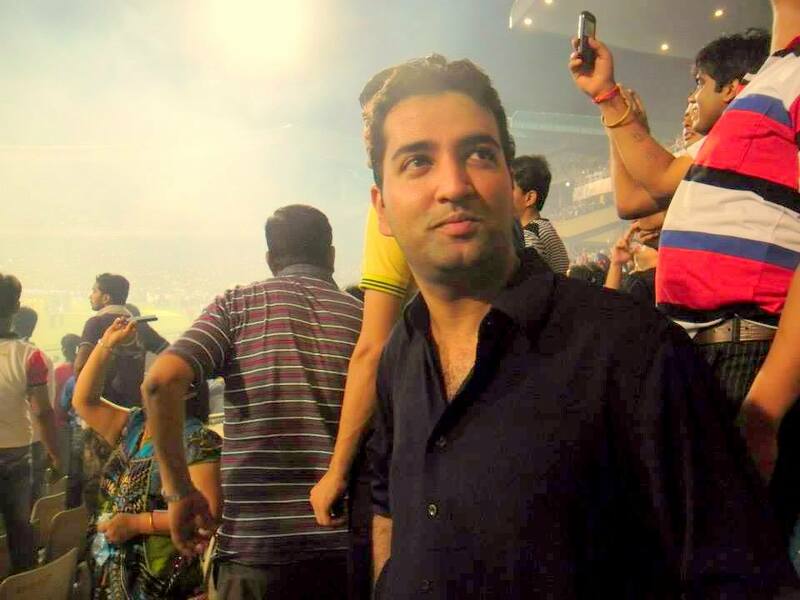 Therefore went to cheer for Mumbai Indians and that also only because of Sachin Tendulkar. Loved MI's victory lap and also the fireworks inside the stadium. The GOD announced his retirement from IPL from the Garden of Eden. From my childhood days I am in love with Eden. I just love the ambience inside the stadium. Here is my pic from this year's Final Match.